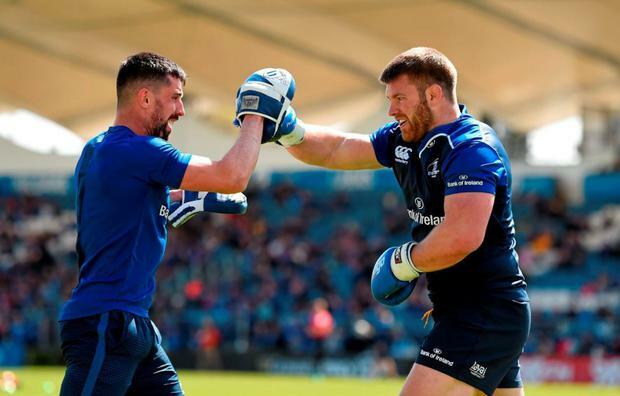 There is growing speculation Sean O'Brien and Josh van der Flier could well join Cian Healy outside the Ireland squad to fly to South Africa next month following injury problems. While none have been ruled out, the up-to-date news on The Tullow Tank is no more optimistic than that on Healy. "Seanie has that high hamstring tear which can be complicated," said coach Leo Cullen. "It wasn't a complete rupture like some of the other players have had. It is quite complicated. It is slower than we would have liked. "He has had a setback in his rehab," he revealed. "We will get him further assessed and we will have an update next week on Sean. "It's been frustrating and slower than we all would have liked." Flanker Josh van der Flier has suffered syndesmosis to his ankle and is due to learn his fate early next week. could be undermined by ruining the PRO12 run-in and failing to make his first international tour with Ireland. Cullen spoke of Healy as "a very unique individual," who has been managing his way through the season with neck and knee complaints. "We're just trying to manage him as best as possible, do what's best for him," said the coach. For sure, Healy has been a shadow of his old wrecking ball self this season. There must be a serious temptation to allow him an extended period of time to give the loose-head prop the best chance of rediscovering the form that made him the best in the world . Ian Madigan had the misfortune to pick up a "twinge" in his hamstring during training this week to rule him out of this afternoon's PRO12 meeting with Benetton Treviso. Another Ireland hopeful Luke Fitzgerald was also unable to make the cut due to a medial ligament injury which Cullen described as "nothing major."